Sarku Japan is located at 4400 Ashford Dunwoody Rd, Atlanta GA 30345 in the food court of Perimeter Mall. To be expected, this is mall food, but perhaps above average and atypical. 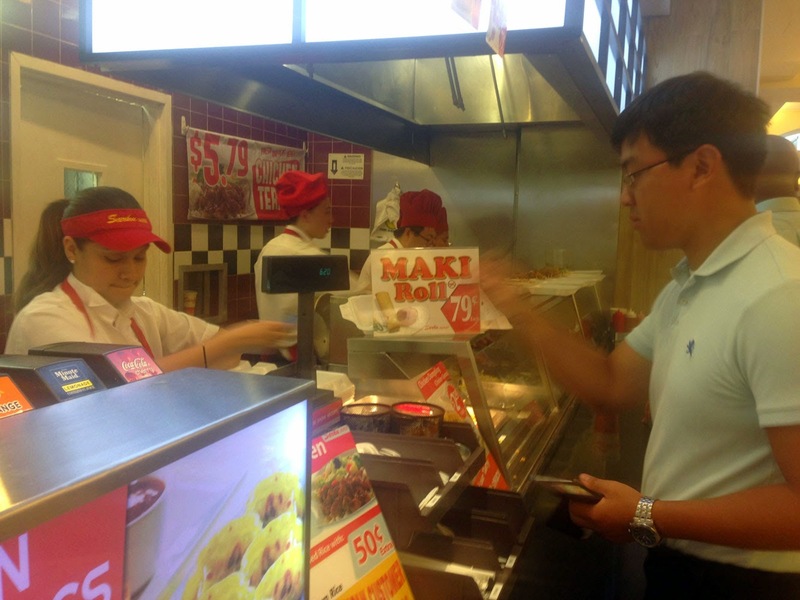 There are several locations in the various malls around town and for what is really fast food, Sarku does a great job. I hate to admit it, but I used to eat at Sarku fairly frequently - sometimes weekly, as the previous location of my office was across the street from the mall and it's just too easy and convenient to walk there for a quick lunch, the mall also provides enough variety that just about any picky eater in the group can find something. 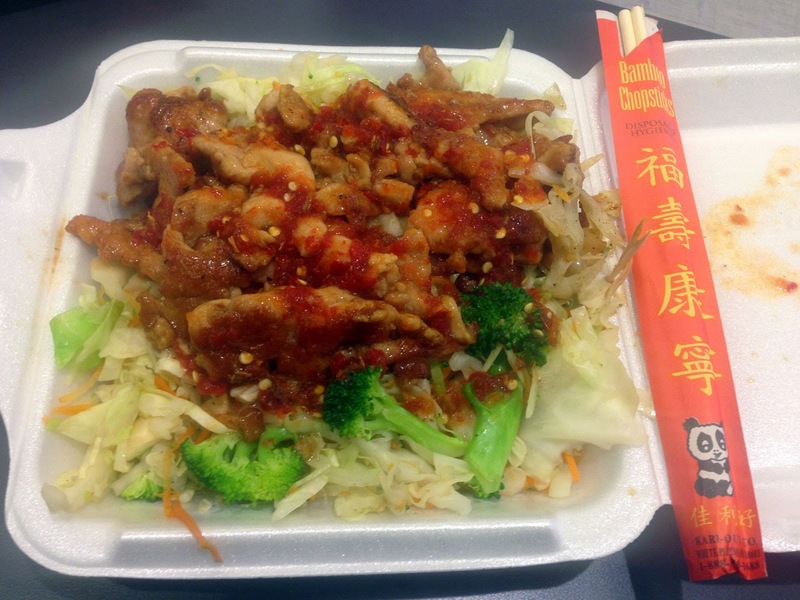 Sarku is the Japanese teppanyaki-style, fast-food restaurant in the Perimeter Mall food court. The staff at Sarku are very friendly - they will try to upsell you the double-meat option or an egg-roll but for me the basics are the best options. I always go with the chicken teriyaki but opt for all veggies (mostly cabbage with the usual effect) instead of rice, asking for a cup of water instead of soda. It's a nice, quick and inexpensive low glycemic meal. If I'm really hungry I get the double meat option for an extra $1.49, otherwise the $6.95 chicken is fairly filling and super cheap. Don't be lulled into the "extra sauce" at the end - it doesn't add much to the flavor and has a lot of wasted calories. Use the hot sauce (bottles at the end) instead if you want to "flavor up"... also, if you want chopsticks they're hidden behind the "extra meat" sign next to the cash register. While there grab a Sarku card - 5 punches and your next lunch ($6.95 value) is free. Seating at the mall can be tricky - during prime lunch hours it's often easier to walk to the other end of the mall in front of Nordstrom's - there are tables there that can seat up to 4 people. Otherwise it might be easier to pack-and-go. For dessert, hit the Chic-fil-a on the other side for a handspun milkshake (if the line isn't too extensive) - speaking of lines, I see complaints about the line at Sarku - it is long but in general moves quickly. The other option is a dipped cone at the DQ next to Chic-fil-a.